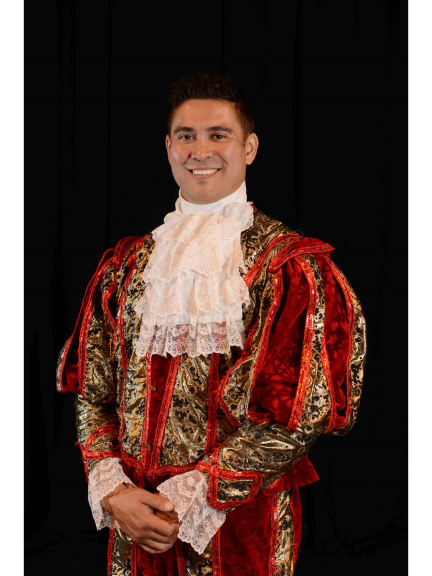 TV presenter Rav Wilding and the rest of the cast of this year’s Epsom Playhouse pantomime BEAUTY AND THE BEAST met for the first time at the show’s launch last week (17/09/15). 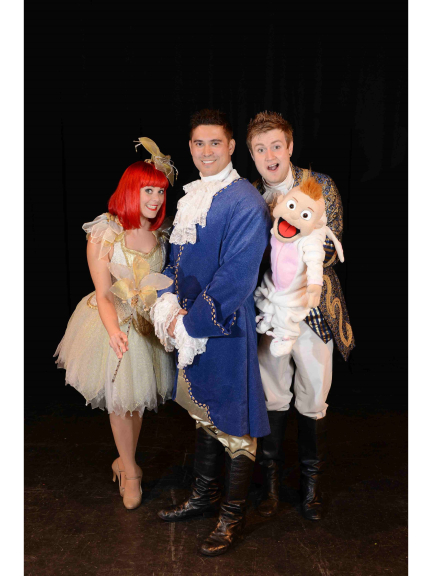 Rav will be playing the dual role of Prince and Beast and will be joined by Kara Kingsward-Hughes as Belle, Holly Atterton from Nick Jr’s “Go, Go Go” as the Fairy, Britain’s Got Talent finalist Sam Jones as French Franc and Mark Hudson as the Dame. The show will open on 13 December and runs until 3 January with morning, afternoon and evening performances. The cast will be joined by a cast of professional dancers singers and actors to create the perfect recipe for a fantastic festive treat for all the family. Rav Wilding became a household name when he co-hosted BBC Crimewatch series for eight years. He currently has a number of his own series including the daytime spin-off, Crimewatch Roadshow and Helicopter Heroes which follows the work of the Yorkshire Air Ambulance . Rav also fronts the daytime favourites, Neighbourhood Blues and Crime Scene Rescue. He also filmed Frontline Police and narrated Big Body Squad and The Worlds Wildest Police Pursuits for Channel 5. Rav won the Arctic Circle challenge show, 71 Degrees North in 2011. He is equally in demand for children's television, and has fronted the hugely successful Hero Squad and Cop School series' and online gaming for CBBC Before finding his way in to TV, Rav served in the Parachute Air Defence Troop and was a detective in the Metropolitan Police working on a number of high profile cases . 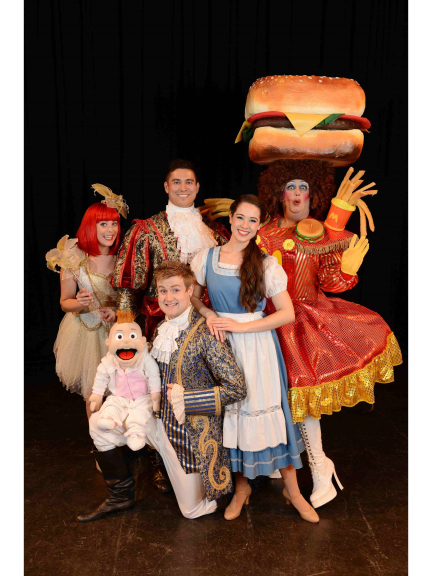 Tickets for Beauty and the Beast are on sale now from £12.50-£19.50 and can be booked at: www.epsomplayhouse.co.uk or by ringing the Box Office on 01372 742555/742227. We were very kindly invited to the launch at Epsom Playhouse last week and had a chance to talk to the cast, and what a friendly bunch they are. 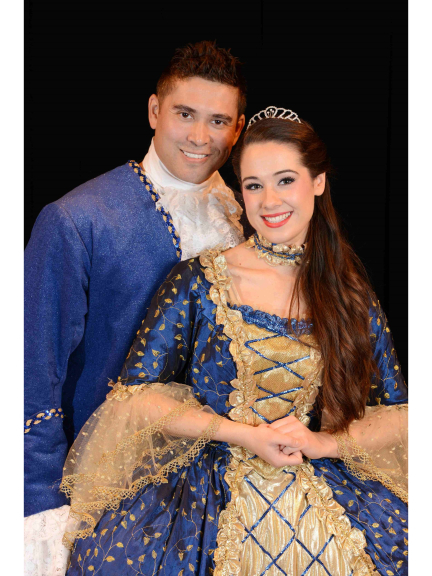 Rav looks great as the dashing prince – and will hold the audience as he transforms into the Beast. The pretty Kara playing Belle with the lovely sweet nature to take on the role. Holly, perfect as the fairy with her natural sparkle and twinkle. Sam with his many friends – including the oh so loveable Baby Leo! Mark as the dame, and my goodness what a dame he makes! I think we are all in for a real treat. The friendly cast will be in Epsom from December 13th to January 3rd, and they are always looking for suitable accommodation. If you have accommodation to offer – a flat or rooms to let – they would love to hear from you. Just contact Maggie at Epsom@thebestof.co.uk and we will pass your details on.